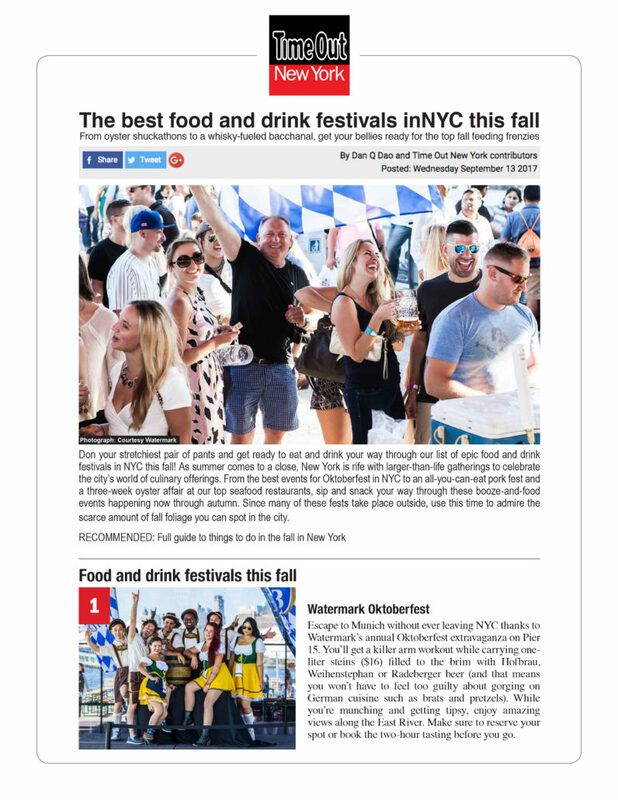 Don your stretchiest pair of pants and get ready to eat and drink your way through our list of epic food and drink festivals in NYC this fall! As summer comes to a close, New York is rife with larger-than-life gatherings to celebrate the city’s world of culinary offerings. 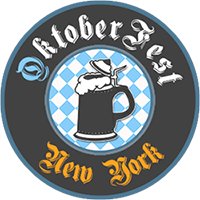 From the best events for Oktoberfest in NYC to an all-you-can-eat pork fest and a three-week oyster affair at our top seafood restaurants, sip and snack your way through these booze-and-food events happening now through autumn. Since many of these fests take place outside, use this time to admire the scarce amount of fall foliage you can spot in the city. Escape to Munich without ever leaving NYC thanks to Watermark’s annual Oktoberfest extravaganza on Pier 15. You’ll get a killer arm workout while carrying one-liter steins ($16) filled to the brim with Hofbrau, Weihenstephan or Radeberger beer (and that means you won’t have to feel too guilty about gorging on German cuisine such as brats and pretzels). While you’re munching and getting tipsy, enjoy amazing views along the East River. Make sure to reserve your spot or book the two-hour tasting before you go.